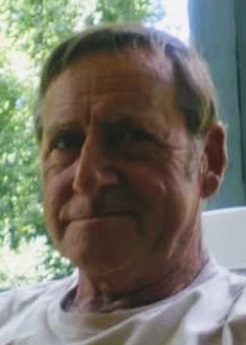 COUDERSPORT, Pa.---Ronald F. “Ron” Onufry, Sr., 78, of Coudersport, formerly of Hop Bottom, passed away unexpectedly in his home on Monday, January 21, 2019. Born on June 26, 1940 in Perth Amboy, N.J., he was a son of Theodore Sr. and Regina Horan Onufry. On November 28, 1963 in Nicholson, he married Patricia H. “Pat” Buffington, who survives. Ronald was a member of the first graduating class of Mountain View High School in Kingsley. He was self-employed. Ron’s greatest love was his family and his strong work ethic. He was well known for his famous barbeque chicken, using his secret recipe. Surviving besides his wife are four children, Ronald F. “Ron” (Diane) Onufry, Jr. of Port Allegany, Lorraine M. “Lori” (Jerald) Loomis of Montrose, Michael P. C. (Lisa) Onufry of Austin, and Kimberly J. (Robert III) Reid of Factoryville; eight grandchildren, Amber Onufry, Ashley Onufry, Zachary Loomis, Ashton Loomis, Lily Reid, Robert “Bobby” Reid IV, Deanna Burkholder, and Jeffrey Prosser; two great-granddaughters, Brooke Burkholder and Isabella Onufry; several step-grandchildren; several step-great-grandchildren; three sisters, Dolores Boucher of Richmond, Virginia, Regina (David) Evans of Nicholson, and Mary (Joel) Mersereau of La Pine, Oregon; and many nieces and nephews. In addition to his parents, Ron was predeceased by a sister, Elizabeth Rice; and a brother, Theodore Onufry, Jr. In keeping with Ron’s wishes there will be no visitation. A celebration of his life will be held in the future on a date and time to be announced. Flowers are gratefully declined. Memorials in Ron’s name may be made to the Coudersport Volunteer Ambulance Association, 122 East Second Street, Coudersport, PA 16915. Ronald’s family has entrusted his care to Kevin J. Dusenbury, funeral director/owner of the Virgil L. Howard Funeral Home, Shinglehouse.